Are there any more pictures of the ladies 34mm AT? I only saw one in this entire thread! This thread is inspiring so I'll contribute, even thugh late. AT Golf on OEM Croc. 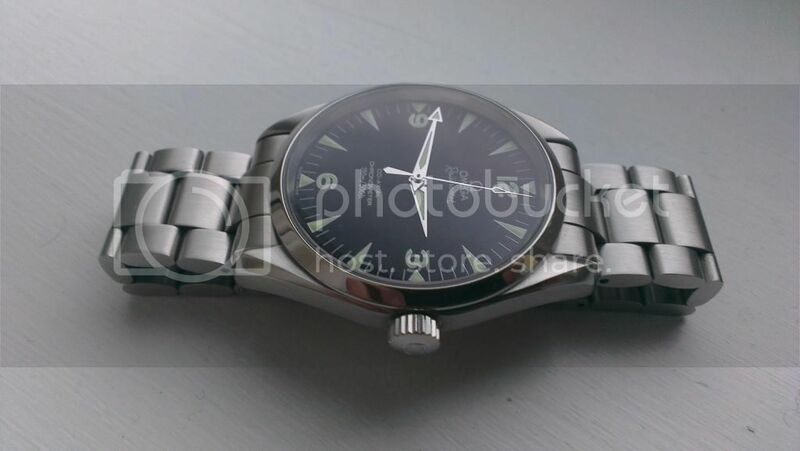 I am looking for a croc strap for my railmaster with 21mm lugs as well. May I ask which one you have there? Does it also take the Omega deployment clasp, meaning the it has to be 21x18? Clarky and ccm123 like this. the strap is 21/18 mm and fits the Omega deployment. Ref. is 98000349. Oh ok, it's the OEM Omega strap. I though it was another brand. Am still contemplating whether the 300+ USD is worth it. Thanks for the info mate! Last weekend was the weekend the AT finally got under my skin. Not mine... at least not yet. solesman and Horoticus like this. solesman, Horoticus and yessir69 like this. She is a beauty Chris.